With summer upon us, you want your vehicle looking its absolute best... right? As you drive your family and friends around in your four-wheeled BFF this season, you might begin to notice something unfortunate—dust accumulating on your dashboard, wear on your leather seats, and you might even find the shine coming off of your vehicle's beautiful metallic exterior. We asked our Parts Experts to put together a list of their favourite inexpensive specialty products that we stock, and they're confident that you're going to love them all. Each of the products listed below costs less than $20, and we throw in a free luxury cloth/chamois with the purchase of each (you can even pick the colour: blue, red, green, or yellow)*! If you want to restore your car or truck to its once-spotless condition (and don't mind a little D.I.Y. to save on cost), then read on to find out how our Parts Department can help you get your vehicle looking as good as new this summer! Noticing streaks or marks on your windshield and windows? This magical glasscleaner is sure to do the trick. It doesn't take very much of it to get your glass and mirror surfaces looking bright and shiny again! Are your leather seats looking a little worn? 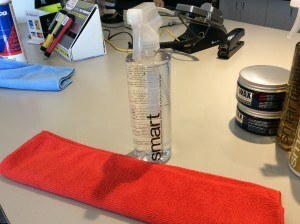 Then you need our SmartLeather cleaner. One or two drops are all it will take to get one of your seats looking brand new. Best of all: this product works on all leather products! We have customers who use it on their office chairs and even certain leather purses. 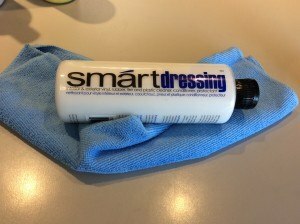 SmartDressing is just like SmartLeather, but for your vinyl, rubber, and plastic surfaces. 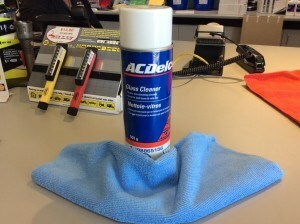 This product is great for buffing up your dashboard and does the job like no other. Want the effects of SmartDressing but can't tolerate its piña colada scent? Then SmartCleaner is the product for you! This one is colourless and scentless, so if you didn't notice the difference on your dash (which you will; we promise! ), then you might not even know it was there. Noticing that your rims are looking a little tired? 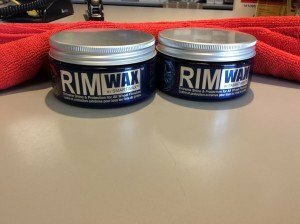 With dust and debris on the roads in the summer, a little rim wax is sure to clean your wheels right up. You'll notice the difference as soon as you apply it... thank us later! 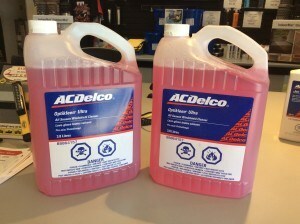 And finally, an oldie but a goodie... Our windshield washer fluid is some of the best on the market, and at only $3.95, we're confident that this is some of the least expensive—but most effective—washer fluid around. Swing on by next time you're in and pick up a jug or two, or keep our price in mind when you're next out shopping around for washer fluid—we expect you'll be impressed.